Professors change the world. Are you motivated to teach? Do you have the commitment and courage to do what it takes to trade your job for the classroom? 9 out of 10 people fantasize about being a college professor; it’s among the most admired and trusted professions in the world. In the US alone, colleges employee over 1.5 million of them. But competition for these positions is fierce. Few spots open up for even the most experienced practitioners. When they do, there is a long line of working professionals waiting at the dean’s doorstep, people with extensive experience and abilities. 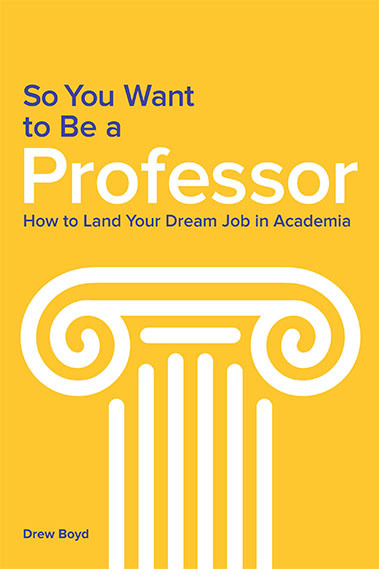 If you want to become a professor, you have to prepare no matter when you want to start: now, mid-career, or post retirement. You can get there, too, but you need to find non-traditional paths if you want to be ready and jump to the head of the line. This book will help you prepare. It will challenge you to begin thinking of your current workplace career as preparation for your next career as a professor. What are the things you can do now to prepare you to land — and succeed in — an academic role? Be a catalyst for change. Be a professor. Read this book if you want to join the world of academia.